I bought the Golden Select Milan Glass And Stone Mosaic Tile from Home Depot some time ago to create a backsplash in my bathroom. It gave the vanity/sink area a clean, professional and eye-popping look. 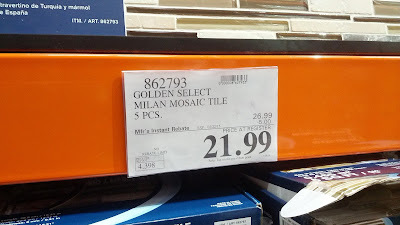 I liked it so much that when I bought a new home, I bought the same Golden Select Milan Glass And Stone Mosaic Tile but this time from Costco. Buying from Costco was certainly more of a bargain at $4.40 per square foot. Home Depot would charge more than $10 per square foot. The package comes with 5 tiles, more than enough for small-sized applications. It comes with Travertine and Marble pieces for that fancy look at bargain price. 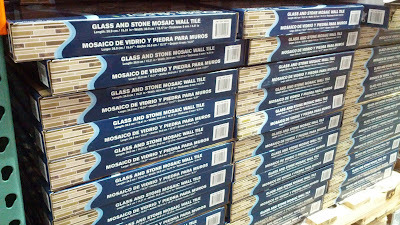 Golden Select Milan Glass and Stone Mosaic Tile. 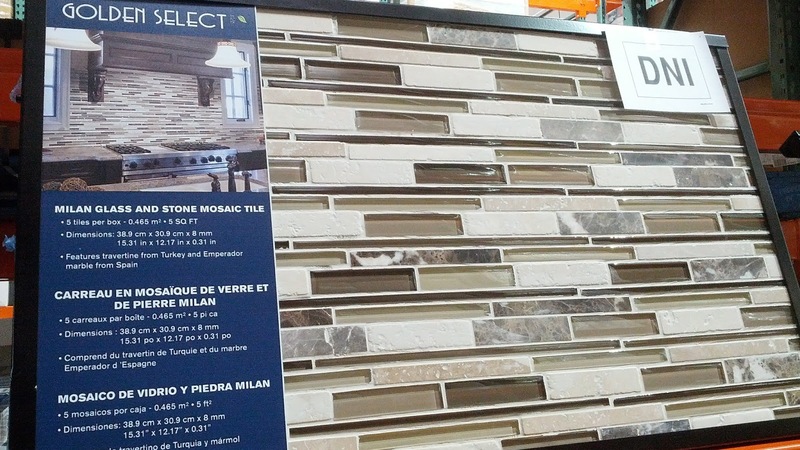 Golden Select Milan Glass And Stone Mosaic Tile – Travertine and Marble. 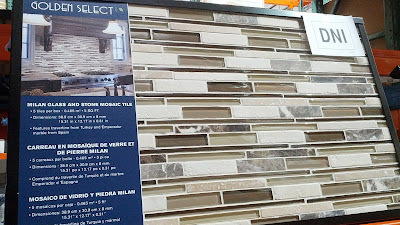 Golden Select Milan Mosaic Tile – Glass and stone mosaic wall tiles blend imported glass and stone for an innovative decoration solution. 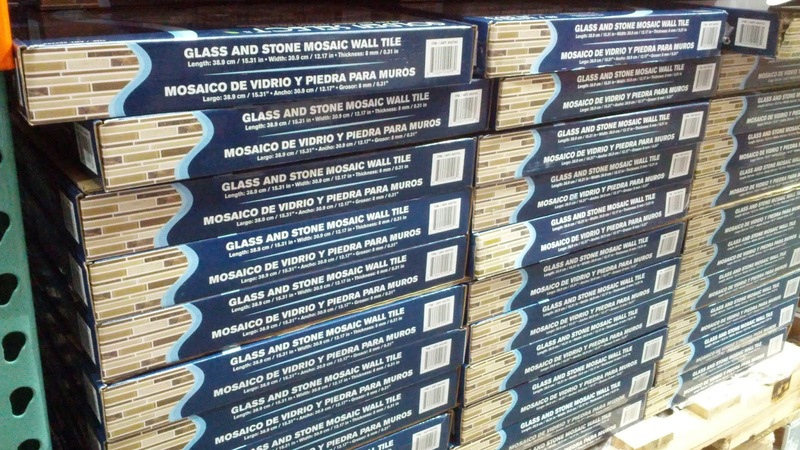 Mosaic wall tiles are ideal for backsplashes or wall installations in kitchens and bathrooms. Golden Select mosaic tiles are mounted onto mesh sheets for an easy way to update the look of a room. Hi @Carlos, your best bet to find the Golden Select Milan Glass and Stone Mosaic Tile is just to check your nearby Costcos. Unfortunately, a lot of products at Costco are seasonal and once the season changes, you have to wait another year before seeing it (or something similar) again. That and the Costco website isn't very reliable when it comes to their own products. You may be able to find it online somewhere if not on Costco's website. Good luck! Just picked these up and wondering where I can get a matching end cap... Costco did not have them and I can't find anything on their site. Any ideas?